After the ICO was closed we had retained 120 Million SWAT for generating funds for our project through private placements and offers and this had been mentioned in earlier announcements and earlier posts and we had wanted to do this using Yobit Codes so that we will not disturb the regular trading process of SWAT. 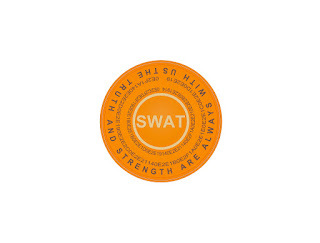 Now I wish to make the sale of the retained 120 million SWAT, in a transparent manner using a time sequence auction process on the DEX of Waves Platform through an exchange token. There have already been inquiries and offers from our investor community members and D & M team members to buy from this retained lot to support our project in generating additional funds for speeding up the various activities of the project, as seen in earlier posts. In order to make this sale in a transparent manner I have created a time sequence auction on Waves DEX, meaning early slot investors will get better prices. To make this more attractive to investors who are making purchases in larger quantities for more than 1000 USD, We will offer One Octa Core Pocket Miner worth 300 USD as a Bonus. 300 USD price is an approximate value, since we have not arrived at the exact MRP of Pocket Miners yet. There is a possibility of this being slightly higher due to impending duties and shipping charges. The price will of course come down over a period of 6 to 8 months from the launch due to increase in scale of operation due to increase in volumes. A Total sale value of 24K Waves or approximately 75000 USD. If we assume every single purchase is made for 1000 USD then we have 75 Pocket Miners available to be claimed as bonuses. along with a mail to admin@swatcoin.network including the transaction ID of SWATX purchase and WAVES Wallet Address for SWAT transfer. Investors who have bought for more than 1000 USD need to send their postal address for shipping their bonus Pocket Miner. and will reach 270 K in the next couple of days, I am sure this offer will benefit the huge investor base that we have for SWAT now. This process will also catalyze the the steady growth in price of SWAT which will benefit the entire investor community. The proceeds from this sale with go towards the developmental and operational expenses of the project and will surely help in speeding up the release of our flagship product, the Pocket Miner. Looking forward to active support from our community members by way of participating in this sale and in promoting this offer on our various social media platforms! Thanks Every One in Advance!